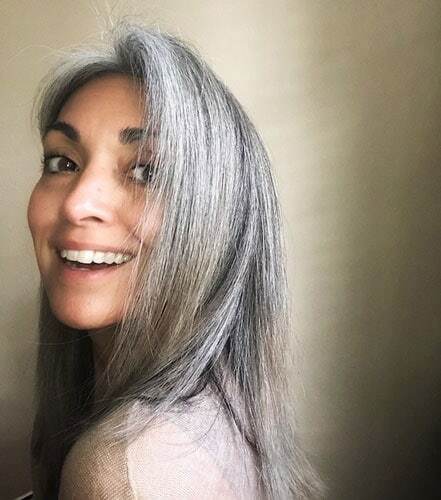 I had no idea that yellowing gray hair was an issue until I became immersed in the world of Gray Hair Facebook groups. But it is an issue and one that really causes consternation for some silver sisters. 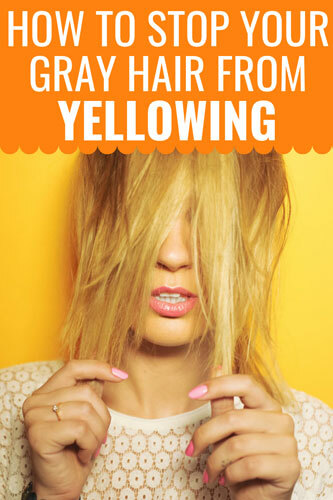 This post will address why gray hair turns yellow, how to prevent it, and how to treat it. Before I get into the hows and whys of yellowing gray hair, let me reassure you – genetics also play a part in this, so some silver sisters will have more of a problem with yellowing than others. Some of you may NEVER have a problem with yellowing, but forewarned is forearmed, right? Are you a carrot fanatic? When I was in college, and trying to stay super-skinny, I ate carrots like a madman. I noticed my skin turning darker, and thought that some kind of miracle had happened and that I actually had a tan! But it wasn’t a tan. My skin was taking on an orange cast from eating too many carrots. Crazy, right? Over-consuming vegetables and fruits that are high in beta-carotene (carrots, sweet potatoes, spinach, kale, cantaloupe, etc.) can not only affect your skin, but can also turn your grays yellow. You don’t want to give up these healthy foods altogether, so just eat them in moderation. Do you swim in a chlorinated pool? If you do, you will want to protect your gray hair first. One great solution? Wet your hair before going in the pool (dry hair will yellow more quickly than wet hair). Apply a generous amount of QuickSilverHair Oil all over your hair. Then, tuck your hair into a silcone swim cap. After you are done swimming, wash your hair with a good clarifying shampoo and conditioner. I live in Southern California and the water in my neighborhood is very hard. 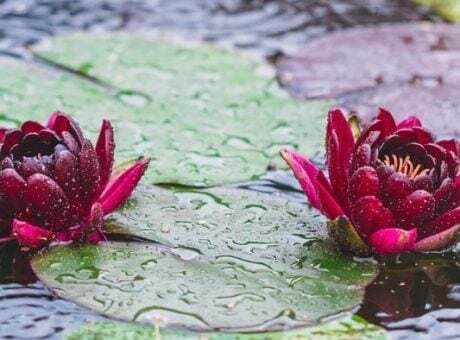 I didn’t realize that hard water can affect your hair color (whether natural or dyed), until I read this great article. As the article states, hard water can leave a residue on your grays that leaves a yellowish cast. To prevent it, consider installing a showerhead that includes a water filter. If that’s not an option, try this line of products designed specifically to prevent buildup from hard water. Note: Malibu says these products can be used on white/gray hair but do NOT use them with heat. See their FAQ before using. Watch out for your styling tools! Curling irons, blow dryers, and flat irons can all cause gray hair to yellow. Make sure you use a blow dryer that has temperature controls, and always use thermal protectant spray before blow drying. If you use a flat-iron, this product comes highly recommended. 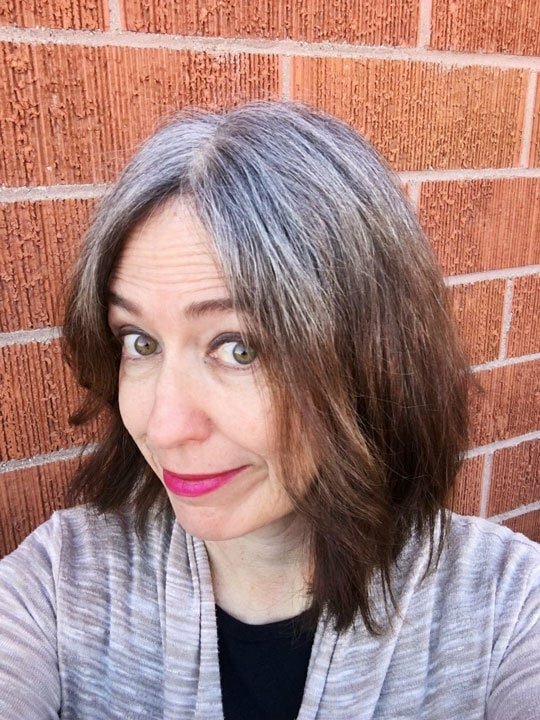 (I used to worry that Argan oil would stain my silvers, but that doesn’t appear to be true). Try to refrain from heat tools every so often, if you can. 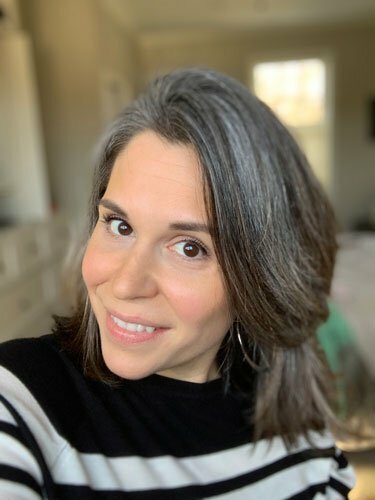 I prefer my hair straight, so letting it air dry isn’t my favorite option (I get crazy waves and frizz), but it is the healthier option, for sure! This is a hard one to avoid if you live in a large city. The best I can tell you is to keep your hair relatively clean and to avoid heavy styling products (like mousses and gels) that attract pollutants. This shampoo & conditioner designed especially for urban living is an interesting concept. It might be worth a try, if you live in a place with poor air quality. 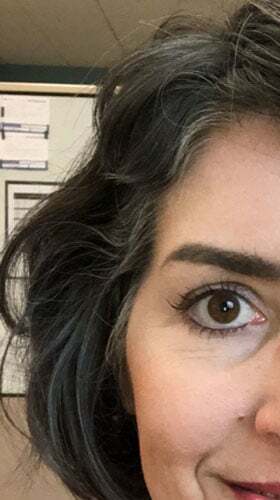 I saw a photo on Instagram the other day of a woman with gray hair who thought her hair was turning blonde again, and then found out it was actually just turning dark yellow due to product buildup. Yikes! One good way to prevent product build-up is to use hair care products that do not contain silicones, sulfates or parabens. By the Way, Your Hair Looks Fabulous’ products fit the bill, as do any products that are certified Curly Girl-Friendly. If you’ve read my Current Hair Care Routine, you know I use clarifying shampoo once a week to fade my brunette dye. It’s also a great way to prevent excess product buildup. (It’s very drying, however, so make sure to follow up with a deep conditioner). Are you a smoker, or do you like to hang out near campfires? Smoke will definitely cause your hair to yellow, so watch out! It’s not easy to find information about how. 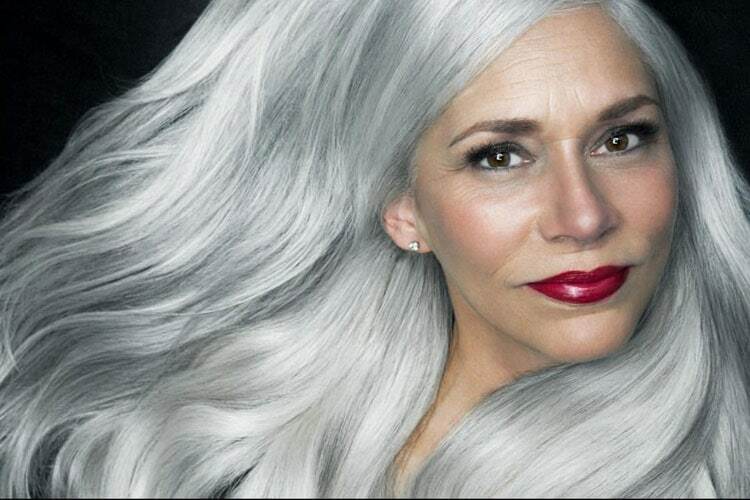 to prevent smoke from yellowing your gray hair. But if you are a smoker, stopping would be the easiest way to keep your silvers bright! And if you are Boy Scout volunteer, like I am, step back from the campfire! In either case, wearing a bandana or tucking your lovely silver hair into a hat wouldn’t hurt. Sunshine can leave a yellow stain on your silvers. Protect them (and your skin) by wearing a hat. Yellowing can also be caused by medications, vitamin deficiencies, hormone imbalances, liver disease, etc. So if the common causes listed above can be ruled out, you should consult with your doctor to see if there is a medical cause for the yellowing. 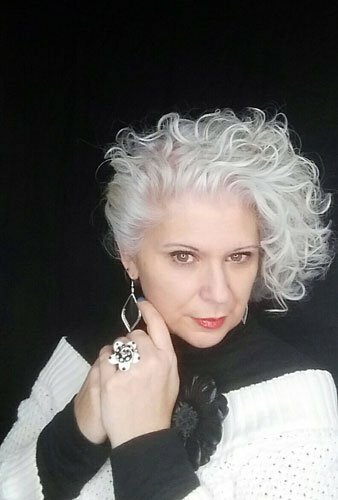 One of the best ways to remove yellow tones from gray hair is to treat your hair with QuickSilverHair Clay. 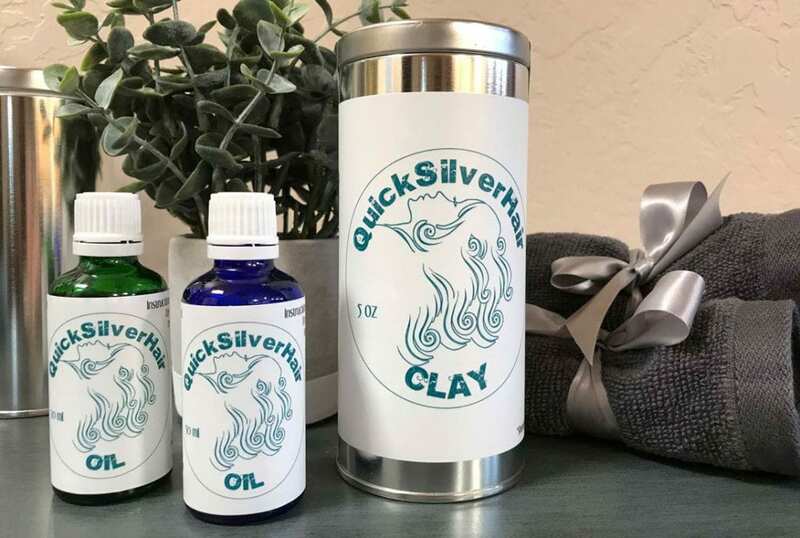 QuickSilverHair Clay was invented by one of our own silver sisters, Joli Campbell, and it’s a beautiful frosting-like mask that detoxifies your hair. It brightens your silvers and also removes yellow tones. To use QSH clay for yellow removal, use it once or twice a week until all of the yellow is gone. Make sure to use Joli’s product recommendations for mixing to get the best results! Once the yellowing is removed, switch to maintenance mode and use the clay once every 20-30 days for best results. Joli suggests using Acure Clarifying Shampoo & Conditioner once a week in between treatments. Klorane is one of the premier anti-yellowing shampoos on the market. It can be drying, however, so you may want to consider using a deep conditioner aftewards! Purple shampoos are great for combating yellow tones, as purple is the opposite of yellow on the color wheel. (Blue combats orange tones, as shown in this post). Important note: purple shampoos only temporarily cover yellow, they don’t remove it. To remove it, your best bet is still QuickSilverHair Clay. After shampooing with the Fanola No Yellow Shampoo, you can use this mask for further toning. Try not to use it more than once or twice a week, as per the manufacturer. Another option is Aveda Blue Malva. It’s a bit pricey, but this large bottle can last for up to a year (depending on how often you use it, of course!) and it is a very highly recommended product. 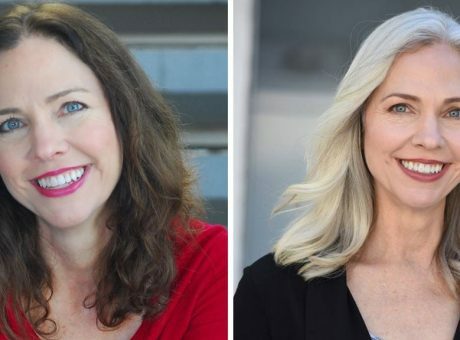 I polled our fellow gray-haired women about the subject of fighting and treating yellow tones in gray hair, and they were kind enough to send me their thoughts on the subject! That’s why I love our community – everyone wants to help their fellow silver sisters. “I’m 100% transitioned. I stay out of the sun, and I am also very careful about heat styling and what products I use in my hair. So far I’ve been pretty successful. I currently use New Wash, a detergent and sulfate-free cleanser, made by the folks who started Bumble and Bumble. Basically, products designed for natural or curly hair work great at combating yellowing, because they don’t use sulfates or parabens that can cause build up, and they are generally pretty moisture intensive. I live in the Northeast USA where temperatures can change from 60 to 20 degrees in a day. I also live near the water so when it’s hazy, hot, and humid I definitely get frizzy hair! In the summer I usually don’t blow dry my hair but in the winter I have to. Currently using a Chi Pro low EMF hair dryer and a curling iron for special occasions only. You will find me wearing a hat if I’m in the sun, and don’t get my hair wet in chlorinated water if possible. As for products….right now, I’m using R & Co Sunset Blvd Blonde Shampoo and Conditioner. Usually, I don’t use any other products on my hair but if I’m going out to a special occasion I will use Living Proof Prime Style Extender. “I’ve always loved Marilyn Monroe’s platinum blonde. In the past, I would bleach & tone my brunette hair…only for it to be too brassy. Who knew that I would have silver/ platinum “treasure” buried beneath layers of hair color? I keep my hair it’s sparkling white/silver by using TIGI Bed Head Dumb Blonde Purple Toning Shampoo once a month. “I am all about protecting my virgin silver strands! I do my best to let my hair air-dry, but when I do need to use heat, I believe these sprays have helped keep the yellowing at bay. In fact, I’ll be bringing one on my upcoming vacation to spray my hair poolside! “My journey to platinum was paved with many samplings of different products! A year ago, when I was visiting my kids in Los Angeles, I had my hair toned to even out the year of growth, and it looked amazing for about 3-4 weeks. Thus began my battle with brass! I’m pretty sure I tried every purple shampoo on the market. The most potent purple was the Phytargent by Phyto. It has lasted me seven months, so it is a solid investment. Pravana The Perfect Blonde Purple Toning Masque is also good for keeping your older growth cool in between salon visits. I live part-time on the island of Martha’s Vineyard, so I am often in the sun and swimming in saltwater. I changed my Birchbox profile to receive hair products for deep conditioning. I comb the UV-protection deep conditioners through my hair and leave them in while playing outdoors or driving my Jeep with the top down. This really helps to keep my hair soft and keep the brass at bay, while fighting against the elements. In November 2018, I was fortunate to work on a campaign for ULTA. A hair stylist on set mentioned a product by Keracolor: Color + Clenditioner. It comes in several hues, including Platinum and Silver. 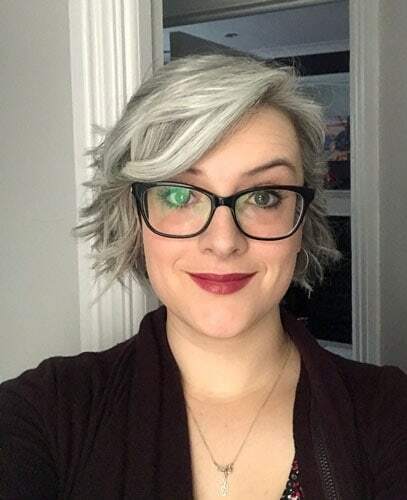 You can read Niamh’s Full Silver Hair transition story here! “I am at 17 months and fully transitioned. I have a lot of hair, which can be a bit coarse (though since my transition it’s actually much improved! ), and it has a wave to it if I let it air dry. Daily (every second day or every day I use the gym) I use Kerastase Extensionist shampoo on my hair as I want to keep my hair strong and the lengths healthy. I alternate between the Extensionist Masque and Provoke Touch of Silver Daily Conditioner (it’s purple in colour but no pigment). Once a week I use Joico Deep Cleansing Shampoo. I find that using this once a week ensures every white is in tip top bright condition but make sure to deep condition after a deep cleansing shampoo! I only use a purple toning shampoo once a month at most. The one I am using at the moment is the Redken Graydiant Shampoo and Conditioner specifically for grey hair and I love it! But personally, I prefer my whites to be pure white so I make sure not to overuse the purple shampoo! I do blow dry my hair, but try to air dry it at least once or twice a week. Through trial and error, I have found all of this combined means I don’t have a problem with dulling/yellowing of my white/grey hair. 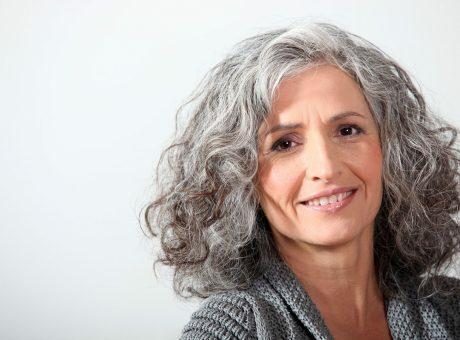 Have you had any problems with yellowing in your gray hair? How did you treat it? Blue Shampoo Combats Brassiness in Brunettes! Hi, I’m so glad that you found something that helped you! I need to add Fanola to my list as a lot of people are saying it really works! I’ll update the list shortly. Thanks for the recommendation! I use Fanola No more Yellow shampoo and Fanola Mask no more Yellow Conditioner. Works great. Use it twice a week as it keeps ends as clear blonde as it can be it grows out and the silver white not yellowing. Can be found at good prices on Amazon. Thanks, Susan! I’ll add them to the post! Thank you this was very helpful Katie. Very helpful information, Katie. Thanks you! This is really a helpful information Katie..Thanks! Thanks, Anjana! Glad you liked it! Thanks so much for all this great information! Very good to know!